Anchor Baptist Church held its 10th anniversary celebration on Sunday with hundreds in attendance. During the morning service Dr. Jeremy Griffith passed the torch on to Dr. John W. Lewis, and a movie with photos from over the years was shown. 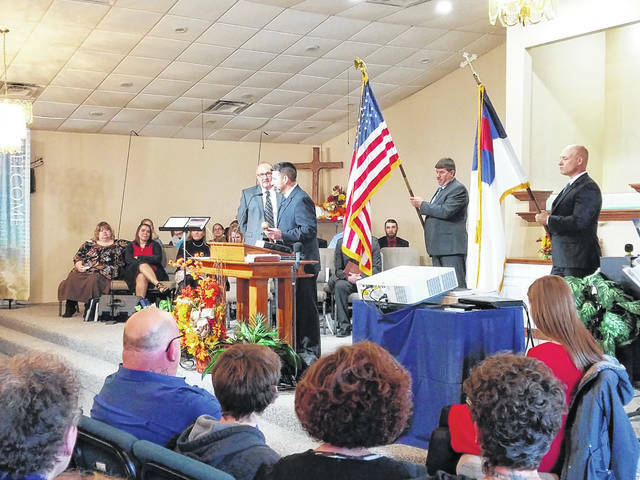 https://www.recordherald.com/wp-content/uploads/sites/27/2018/11/web1_20181111_105220.jpgAnchor Baptist Church held its 10th anniversary celebration on Sunday with hundreds in attendance. During the morning service Dr. Jeremy Griffith passed the torch on to Dr. John W. Lewis, and a movie with photos from over the years was shown.